Product description: Our Velvet Merlin oatmeal stout has been transformed into a mindblowing mouthful known as Nitro Merlin Milk Stout. The new ingredient is lactose, a.k.a. milk sugar. When Velvet Merlin is brewed with milk sugar to create Nitro Merlin Milk Stout, the effect is similar to adding cream to your dark roasted coffee. The wizardry comes via “nitro,” the brewing nickname for nitrogen gas. 5.5% ABV, 27 IBUs. Velvet Merlin for years was hands down the best regular strength stout you could find on store shelves. Its intense roasty flavors and silky mouthfeel were unmatched for the segment. Now, that classic recipe has been transformed. Lactose is added to make it a milk stout and nitrogen gas is added to make it a nitro stout à la Guinness. I was a bit skeptical at first, as it seems Nitro Merlin has replaced Velvet Merlin in Firestone Walker’s year-round lineup. But it is probably a smart marketing move. Boring old stouts just aren’t interesting anymore and nitro beers are relatively rare and have their own selling point. Lower alcohol nitro stouts directly compete with Guinness, which is largely in a league of its own. The only other distributed nitro stouts that easily come to mind are Left Hand’s Milk Stout Nitro and Breckenridge’s Nitro Irish Stout. The former I reviewed earlier this year and thoroughly enjoyed. The latter I have tried informally and liked as well. Sampled from a 6-pack of 12oz cans with clearly printed canned-on dates from about 4 months ago, the first thing I notice is that Firestone has done a good job at putting a “warning” label on the can to remind you to pour it differently from a regular beer. Instead of a timid pour as to not produce a glass full of foam, these nitro beers require a deliberately rough pour from a height to induce the reverse cascade effect you’ll recognize from Guinness Draught. Once it has finished its spectacle, you’re left with a thick layer of tan creamy foam atop a solid black liquid. 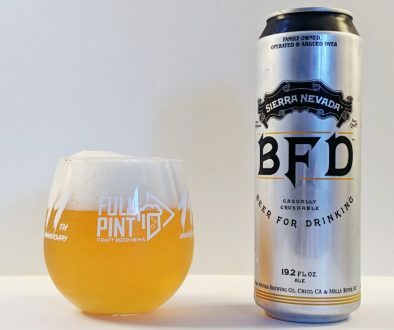 I sampled about six cans of this beer over the course of a week, and each time I tried pouring the beer more vigorously. No matter how hard you pour this thing, the foam will never spill over the edge of a 16oz glass. Firestone Walker’s website even has an infographic on how to do a “surge pour” of this beer, which entails inverting the can three times before pouring. The whole fanfare of pouring this beer is half the fun. Digging into the glass, Nitro Merlin has quite the aroma with inviting layers of roasted malt, chocolate cake, toffee, molasses, and tiramisu. With the first few sips, heavy roast hits you immediately but is nicely tempered with chocolate covered strawberry and impossible levels of creaminess as if half & half had been poured into the beer. It’s fatty and oily in a way you don’t experience often. Most beers in this segment, including Guinness, feel thin and watery once you dissect them. Like its progenitor, Nitro Merlin has class-leading mouthfeel with the combination of oats and lactose creating a silky smooth body you might expect in an imperial stout. Beyond just the smoothness of the beer, the balance is perfect between bitterness and sweetness. There’s a tendency for normal stouts to become ashy and acrid and for milk stouts to be sticky and overly sweet. Neither is an issue here. Overall, this was excellent in every way. Like the original Velvet Merlin, this version is richer and roastier than its humble 5.5% would suggest. I thought Velvet Merlin was the best in its segment for several years. Now, Nitro Merlin gives the brand a unique edge – combining their classic oatmeal stout recipe with the extra creaminess and fun aesthetics of a nitro pint pour. It’s a huge bang for your buck. 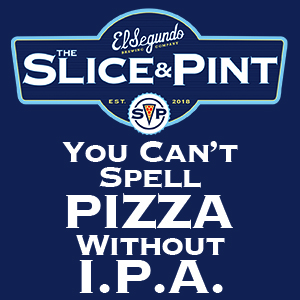 Each pint of this beer has a meal-in-a-glass type of density and intense flavors on par with some 10% imperial stouts/porters. Having this readily available as a session beer is nothing short of a miracle. 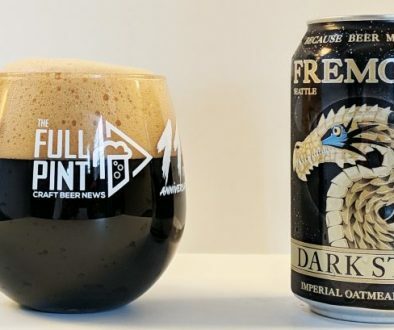 Perhaps the highest praise I can say about this beer has nothing to do with my personal review, but with my observations of my stout-loving neighbor. My neighbor is far from a craft beer nerd, but he does love beer – specifically Guinness. Each time I’m over, the fridge is stocked with an entire shelf of Guinness Draught bottles. But lately, I’ve been finding Nitro Merlin in his fridge – first just a few and most recently two six-packs. 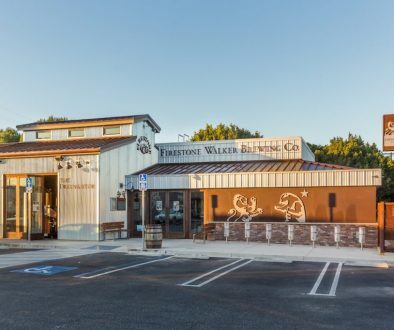 Perhaps Firestone Walker’s gamble is paying off – converting Guinness die-hards one at a time.